Ueli Berger is not just an important Swiss artist, but a veritable Renaissance man who has worked as an architect, teacher, sculptor, designer, and video artist. This book provides an overview of his oeuvre on paper of the past forty years, documenting his independent works—drawings, photographs, photomontages, prints, and etchings—as well as sketches and project drawings for installations. The first study of Berger in English, this volume captures the great variety of styles, media, and materials that characterize the artist’s vast body of work. Lavishly illustrated and astutely edited, Ueli Berger—Alles in Allem investigates the fluid interrelation between room, line, and space that distinguish Berger’s work. 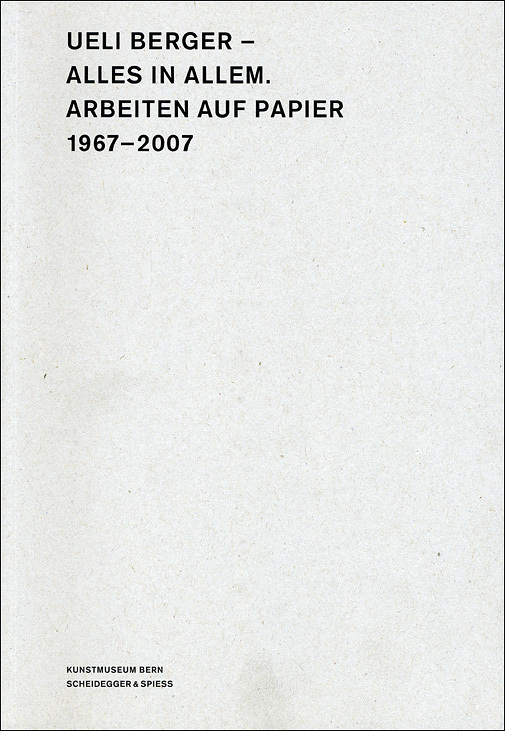 This authoritative look at an influential Swiss artist will interest contemporary art aficionados and those studying paper as a medium of expression.